This is another of those - why didn't I know that already? - posts. Pablo Fanque Victorian Impresario, Equestrian walker par exellence. 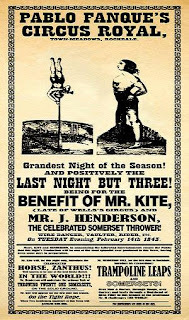 He is massively famous, featuring in the Beatle's song - For The Benefit of Mr Kite - inspired by this poster John Lennon bought in an antique shop in Sevenoaks in the late sixties. And look at him on that fabulous horse! It is me in another body, one of my dreams come true. I never got as far as vaulting lessons sadly and now I think my body wouldn't could with the many many fallings off. But no, here's a man who was the best rider, a man who could make horses dance, who could breed as well as train and wh was the best circus rider of his day. Pablo was born plain William Darby in Norwich in 1810, his father was a butler, and he was apprenticed to William Batty, who owned a small travelling circus aged 11. He performed as Young Derby to begin with, eventually choosing the name Pablo Fanque and becoming renowned as a horseman. He didn't set up his own touring Circus until the 1840s, but he was also famous for horse breeding and training. His horses were known for their ability to dance and much prized. Mr. Pablo Fanque is an artiste of colour, and his steed ... we have not only never seen surpassed, but never equalled ... Mr. Pablo Fanque was the hit of the evening. The steed in question was Beda, the black mare that Fanque had bought from Batty. That the horse attracted so much attention was testament to Fanque's extraordinary horse training skills. 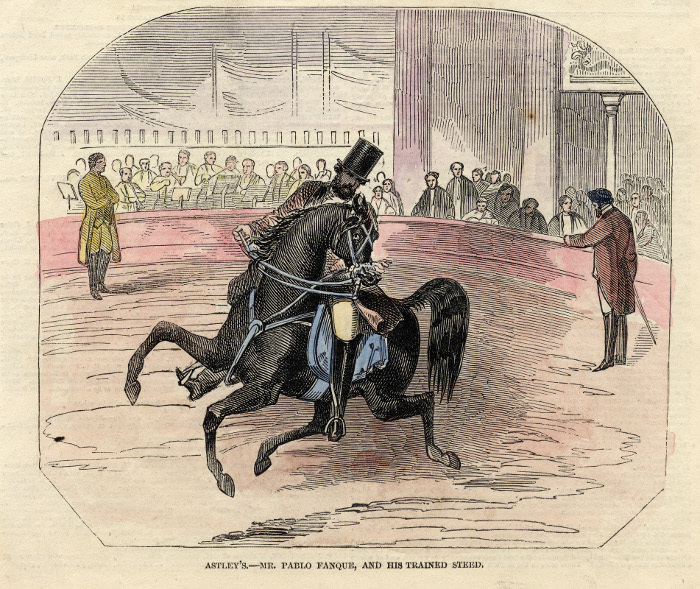 Pablo Fanque's Circus toured all over the United Kingdom and Ireland, but his circus was especially popular in the North in Yorkshire and Lancashire. But a showman's life was always precarious and he endured bankruptcy and personal disaster too, when the arena in Leeds they were performing in collapsed, leading to the death of his first wife, Susannah. In 1869 a near tragedy was avoided when the tightrope walker, Madame Caroline lost her footing on a high wire 60 foot in the air fell. She held onto the rope with her hands and the riggers managed to lower the rope a few feet, then Caroline jumped and was caught by the crowd. Fanque died in 1871 in Stockport, and there was a procession with his favourite horse following the mourners and brass band. I'd always known the song, but never about Pablo, a man who out dressaged most and was respected and massively successful, his circus being one of the top troupes of the arts' golden age. 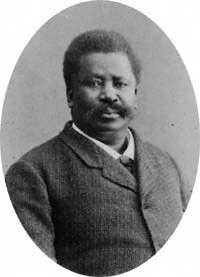 After his death the Showmen's Guild chaplain said; "In the great brotherhood of the equestrian world there is no colour line, for although Pablo was of African extraction, he speedily made his way to the top of his profession. The camaraderie of the Ring has but one test, ability." Me neither! What an interesting character! Thanks! I did enjoy that. I never knew Pablo Fanque was a real person either.